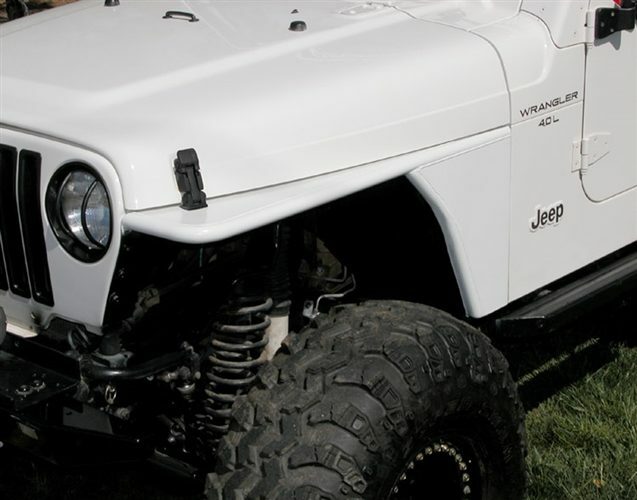 Jeep TJ tube fenders are all the rage these days, and for good reason. 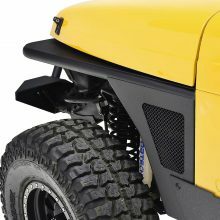 Putting tube fenders on your Wrangler will allow you to get by with less of a lift, and stuff bigger tires under your ride. I replaced my stock fenders with some tube fenders not only for upgrade purposes, but also because my stock fenders were trashed after years on the trail. As I mentioned, tube fenders are crazy popular these days, and as you’d expect, everyone and their brother are building them these days. 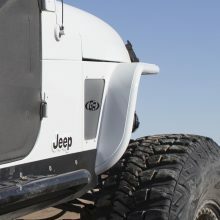 I decided to do a Jeep TJ tube fender review because while there was plenty of info out there about tube fender options, it took a crazy amount of research to bring it all together so that I could make an informed decision. I don’t expect this to be an exhaustive list of Wrangler fenders, but I hope to hit on the most popular ones. 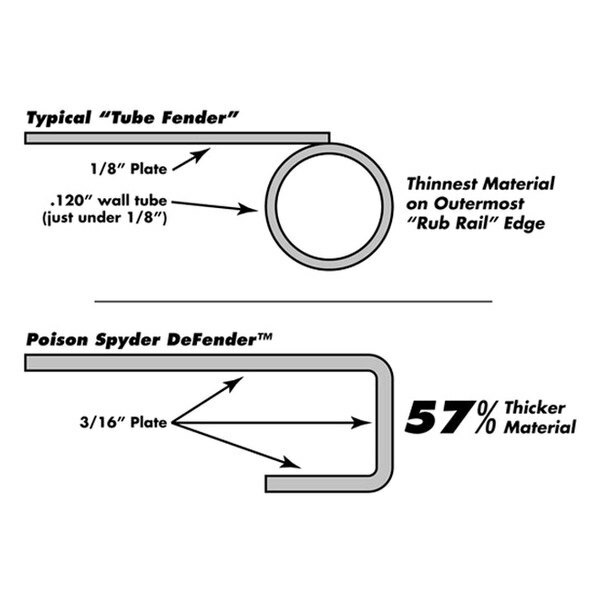 My hope is that this list will make deciding on tube fenders easier. 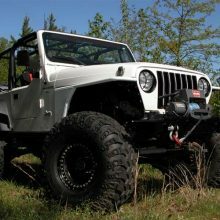 Most manufacturers make more than one style of Jeep TJ tube fender, so for this review I’m going to look at what I consider the base model. 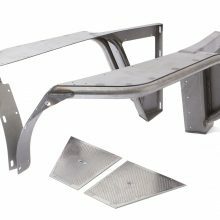 By this I mean that I’ll be looking at a set of steel (as opposed to aluminum) front fenders. So, without more ado, here are the tube fenders in no particular order. With one of the most affordable tube fenders on my review, Smittbilt has a good product. 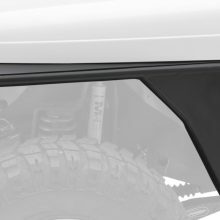 Their XRC Tube fenders require that you cut your existing fenders (you’ll essentially cut the front of the factory fender off), then bolt their new fender on top of what’s left. 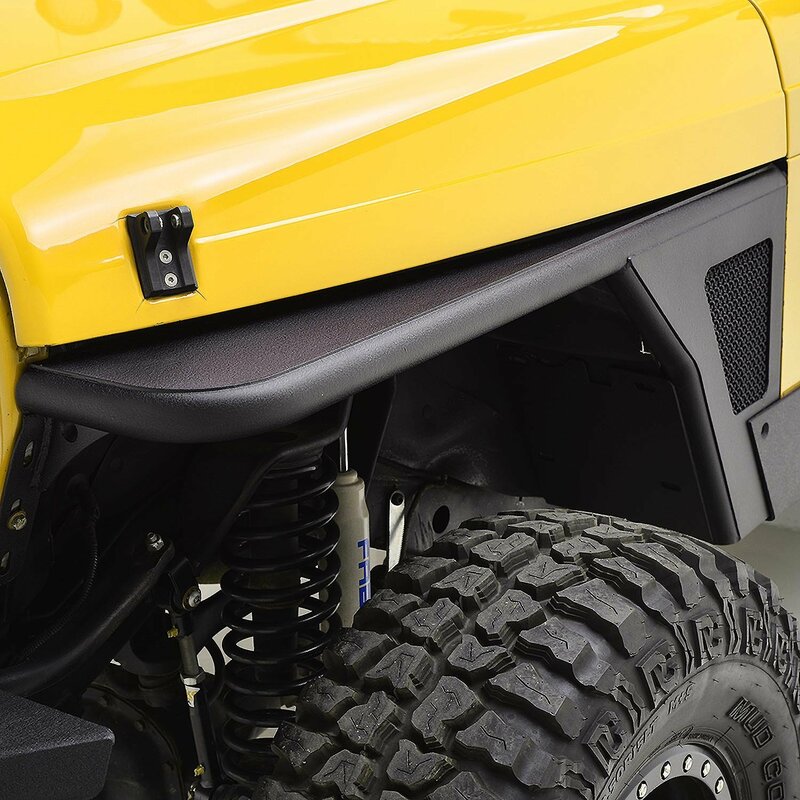 The Smittybilt tube fenders come powder coated, so you can run them right out of the box without painting. Be wary though, there are numerous reports that the powder coating does not hold up well. 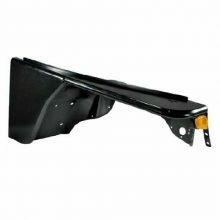 Quality fenders at a pretty good price. Lookout for powder coating issues. 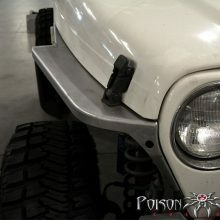 Poison Spyder is one of the most popular manufacturer when it comes to custom steel and aluminum Jeep accessories. 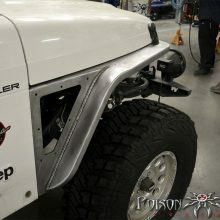 As we’ve seen with other tube fenders, Poison Spyder has you trim away most of the factory fender, then bold this fender ontop of what’s left. 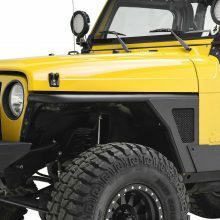 It’s interesting to note that the aluminum version of this Jeep TJ tube fender is more popular than the steel version, so when you’re pricing them, you’ll need to take that into account. One difference between this fender and others, is that they don’t use a full tube for the edge. Instead it’s a U shape. They claim it’s stronger because they’re able to use thicker material than if they had just used a standard tube. I think it gives a different look thank that other tube fenders. These fenders come with a cutout or hole where you can mound a decorative logo or the like. I thought it was cool until I found that it doesn’t come with a cover. You have to purchase a cover separately (at about $40), along with a turn signal. 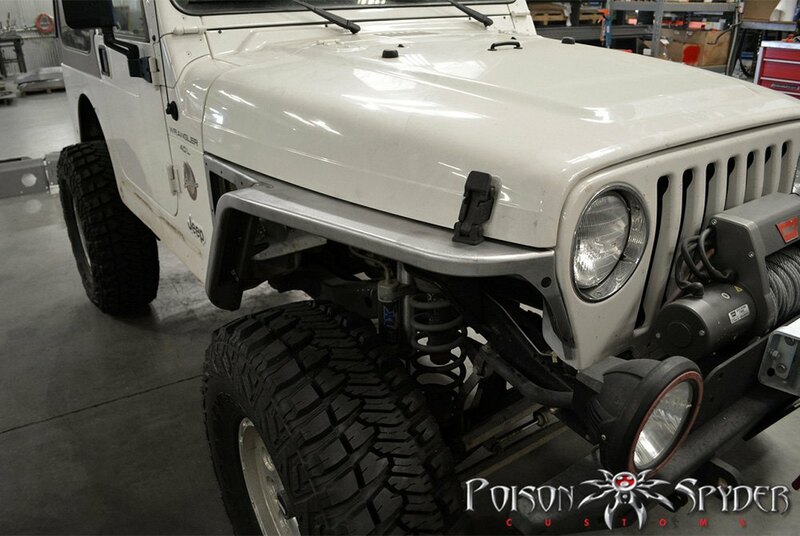 Gen-Right is another big name when it comes to custom Jeep fabrication, and these 4 inch fenders are a great example. 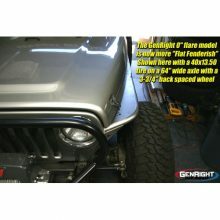 People tend to talk highly of their TJ tube fenders, and with this new G3 series, Gen-Right has managed to shave off 10 pounds from the weight. I like the look of these fenders, they follow the factory lines, and don’t have any sharp angles. As with most of these fenders, you’ll need to cut up your factory fender in order to mount these flat fenders. Gen-Rights touts these as close fitting fenders for rockcrawling, and navigating wooded areas. I’ll buy it – they are pretty compact. Probably the thing I like most about these fenders, is that they offer optional louvers on the side. 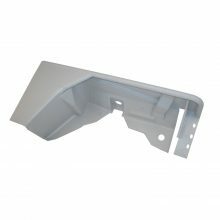 These louvers are meant to dissipate heat from the engine, but you’re able to order these fenders without them. Options are good. Another high quality set of tube fenders. Optional Solid or Louvered / Perforated (to remove more unwanted under hood heat) side panels. Available in 4 inch or 6 inch flares. 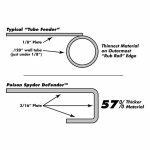 1-1/2″ diameter x .120″ wall tubing and plated with 1/8″ thick steel. 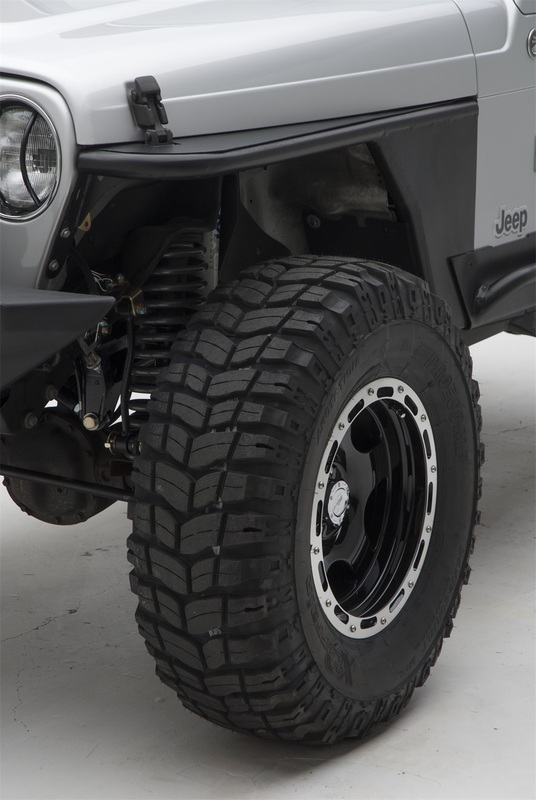 Rugged Ridge offers the only set of tube flat fenders in our lineup that are bolt on. 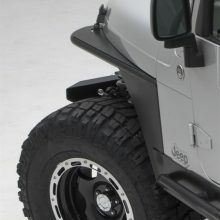 With the Rugged Ridge fenders, you simply unbolt your old fender, and bold the new flat fender in place. You reuse the plastic inner liner of your existing fender. 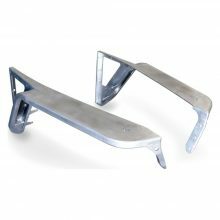 They also come with nifty little brackets that allow you to move your factory turn signals from the fender flare to the front of your tube fender. I am a fan of these fenders – they look great and are purely bolt on. 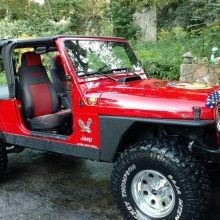 I like the idea of throwing the factory fenders back on if I (heaven forbid) decide to sell my Jeep, better yet, I can sell my factory fenders for $300 a pop and make some money back. Having said that, the only con I can come up with on these fenders is the price. At $1200 for a set, they’re pretty expensive (and you haven’t even painted them yet). Expensive, but you don’t have to cut your factory fenders. Just bolt these guys on. Includes bracket to mount factory lights on front of the fender. 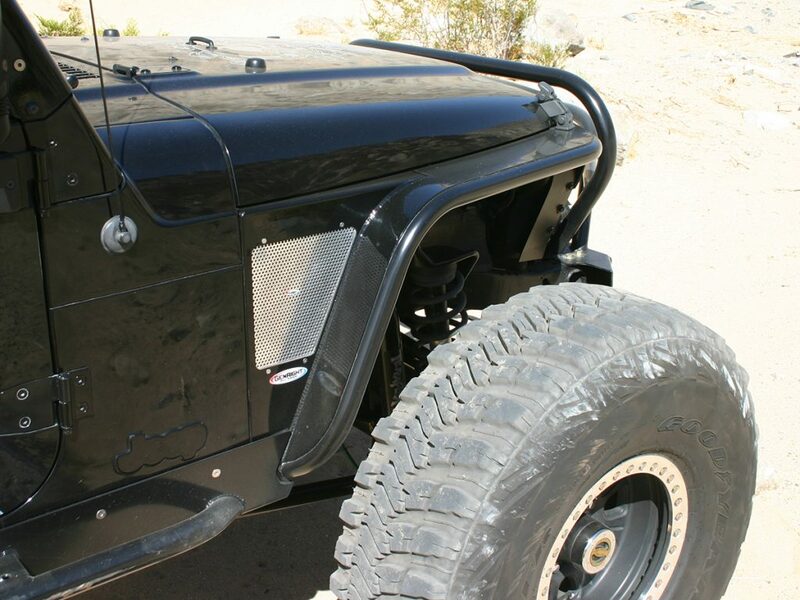 The last set of tube fenders in our lineup are the E-Autogrilles 3″ tube fenders for 97-06 Jeep TJ Wrangler. These guys come powder coated black, which is a good start – you could run them as is. The thing that jumps out at me the most about these fenders is that there are no instructions. This isn’t a huge deal, as you could probably use instructions from another manufacturer’s kit, but it seems like quite the omission. One surprising note about this set of fenders is that you have to not only cut the fenders (standard for most of these), but you also have to cut the factory battery box. Most people seem very happy with the build quality, but I’ve read plenty of complaints about the powder coat quality (usually rusting in two years). 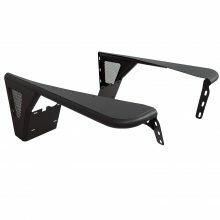 My overall thought is that these are great fenders for the price. These are easily half of the other companies, so if you can get over any flaws in the powder coating, then I’d say go for it. A great bargain if you are are up to installing them without any instructions. Cheapest tube fenders in our lineup. Only available on Amazon.com (although this isn’t really much of a problem). Manufactured from durable 1/8″ steel sheet and 2″X 0.120″ steel tubing.Provides strength and durability.